We are dedicated to ensuring our clients meet full compliancy requirements. Experts when it comes to compliance, we will not rest until all of your bases are covered. Ensuring the safety and operating functionality for every piece of equipment, we perform tests, analysis, calibrations and maintenance on. Giving peace of mind to our clients, as well as fantastic value. We provide the highest levels of customer service and transparency in the industry. No more hidden fees, with all documentation and reports readily available. Beyond our commitment to service excellence, we know from experience that when it comes to electrical safety and compliance and industrial weighing solutions, it is so much better to work with a provider who offers the full suite of solutions you need. When taking on a maintenance and compliance partner, you need to know that you are working with experienced, knowledgeable, and qualified professionals. A board of directors who have the combined 40 years’ experience in the electrical industry (all are licenced electricians) founded Anmar. The Anmar team are fully qualified technicians who know what is required to get the job done right the first time, whilst checking the boxes of all relevant legislation. You can rest assured that all of our servicemen are fully qualified and accredited, and receive the very best training to ensure that our standards of service excellence are met along with best practice OH&S. We employ a dedicated OH&S representative that ensures all licenses and training requirements are always up to date. Also hold Professional Indemnity Insurance. A Victorian REC (Registered Electrical Contractor). NMI (National Measurement Institute) Servicing Licence for the weighing industry. ANMAR Solutions is a registered member of the WIAA (Weighing Industry Association of Australia). You should demand that your maintenance and compliance partner provide their licences if called upon. 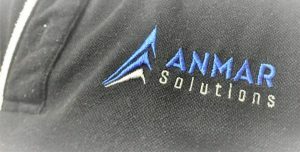 For this reason, Anmar Solutions provides copies of all licenses and any other documentation you may require, on request.